, the innovative online productivity tool from Nema Enclosures. It allows you to take charge in customizing a standard enclosure, from junction boxes to freestanding, to meet your exact job requirements. integrates seamlessly into our proprietary manufacturing process which allows us to reach the fastest delivery of custom enclosures on the market. doesn't require AutoCAD or SOLIDWORKS software to use simply an internet connection. In Beta. Patent Pending. *For Internet Explorer, right-click and choose "Save Target As..." to download the STEP and DXF files. *PDFs downloaded in Google Chrome or Firefox must be opened using Adobe Acrobat. Opening the PDF in Google Chrome or Firefox browser windows disables the 3D functionality. *Contact us for better volume pricing and lead time on quantities of 10 or more. © Copyright 2019, Nema Enclosures. All Rights Reserved. 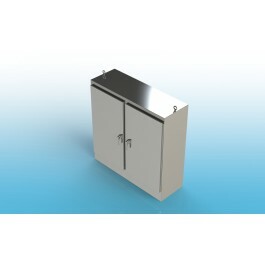 Nema Enclosures Manufacturing of Texas, LLC.